and more to death than dead. not the darkness in your head. 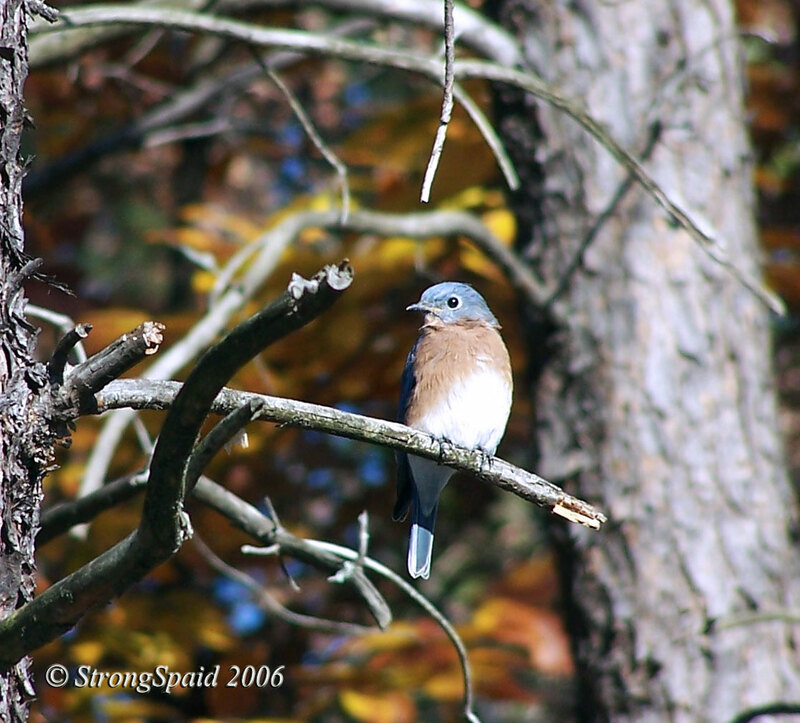 This entry was posted in Birding, Fall Colors, Nature, photography, Poetry, wildlife and tagged Death, Happiness, Life. Bookmark the permalink. Read this early morning! Looks like I am going to have a very fine positive day out there! Thanks….I hope you had a great day! What camera/lens do you have? I can’t believe that you were able to capture the blue bird. I have tried around here and they are too quick for me. 😉 I’ll keep trying! The picture of the bluebird was taken with a Nikon L120 Coolpix “bridge” camera (bascially, a point and shoot with a 21x optical zoom lens). With the zoom, I could get close to the bluebird without chasing it away. Nikon doesn’t make that camera anymore. It’s about 2 years old. They are both great little cameras. We have not spoken in quite a while. I just marked your page a favorite. As always, the depth of your soul comes through. I wish we lived closer so that we could meet for breakfast. Remember? Yes, of course I remember! Brunch…in a restaurant somewhere in Northern Va. Name of the restaurant and exact year, I do not remember. We talked about the power of words sent out on the wings of sound (singing with intention), and life in general. Love the idea of the bluebird ‘glaring’ at you! Well done…and beautiful photo, too! Yours be a quirky little blog, I like it! Well here it is 2014, and I seem to be living in just enough light to be caught in shadows. Admittedly, it is hard to see through the shadows sometimes.Recently doctors have been telling me that there is a “high probability” that a nodule on my lungs is lung cancer….but…ummm…wait….there is a probability that it is not. I am a singer and I have never smoked. I am very slow to decide on diagnostic procedures that might leave me with “permanent hoarseness.” Between a rock and a hard place I am standing, and the shadows are blocking the sun. Sorry Mary for not seeing this before now. There is not a stronger creative power than “Knowing”. “Know that you will be just fine. I “Know you will. Many blessings to you my friend.